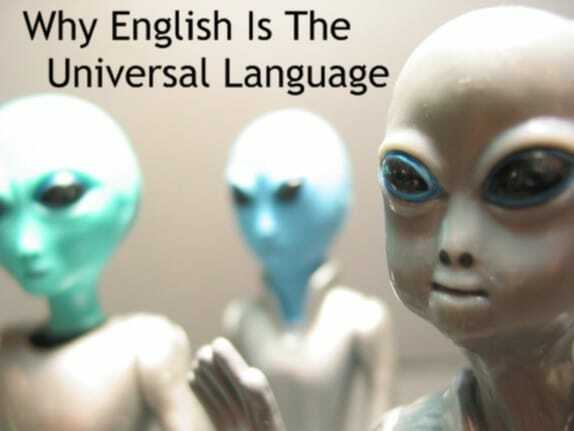 If you were an alien and could only learn one language before your visit to Earth, which language would you choose? English is the most pervasive language on the planet and the most universal language on Earth. When I asked is English the universal language, most of you polled agreed it is and in the comments you all made your cases well and brought up some insightful points but couldn’t sway me. I’m not saying that English is the only language worth knowing or useful in every situation, but it doesn’t have to be. My question above demonstrates the point I was getting at with my original question. 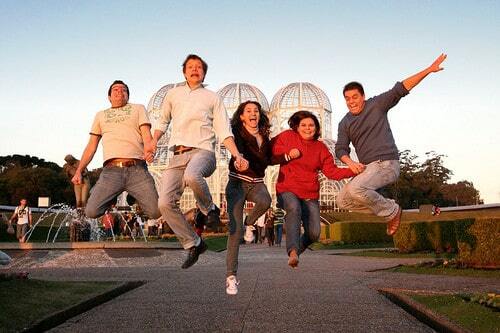 English is the most universal language that will put you in contact with the widest range of people during your travels. Our alien friend would want to pick up the language with the most influence to get around the world and so would most travelers. English is a culture and languages do not stand apart from their speakers. It’s why we have variations and dialects of the same language and across populations that gradually diverge over time. A visiting alien could learn a great deal about the Western culture that is exported widely around the world through movies, books, and music. Iconic – This exportation of English doesn’t just help the speaker, it helps the other non-English speakers around the world understand you too. Try using the icons “Elvis” to someone who doesn’t know the word “music” or “Hasselhoff” in Germany. It’s not just American culture, think Shakespeare. It Has Relatives – English is a West Germanic language related to (obviously German), Dutch, Afrikaans, Yiddish, and the Scandinavian languages. Not language with the most speakers around the world (that’s Chinese) but English has the widest geographic reach. You might find it difficult time finding English the further away you go from a big city, but most travelers don’t. It Hits The Big Spots – Most travelers stick to major cities, touristic sights, and don’t venture too far or long from the beaten path. English translations are available at almost every major tourist location and city around the world. Greets You At The Door – Almost all airplanes, airports, and GPS units have English translations. Airplanes, GPS, and other electronics and transportation vehicles are primarily made by US or European companies. English is the language of business and its in their best interest to manufacture products that speak the language. Again, flying isn’t the only way people travel but a very common one where English is useful. 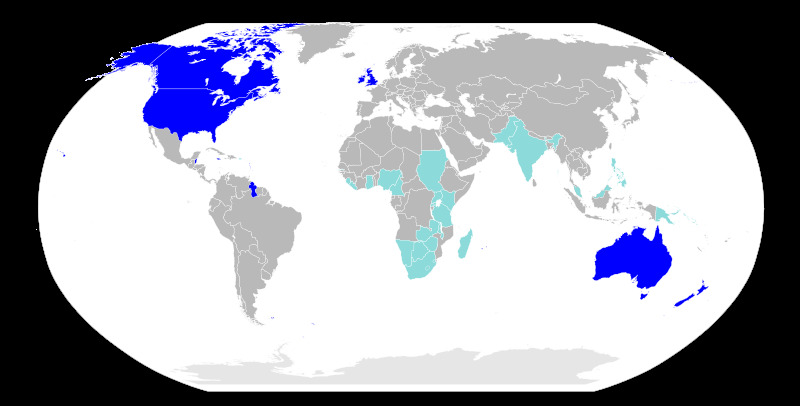 The Sheer Numbers – English has 350 million native speakers and around a billion total worldwide. Whether you speak English or not, if you don’t know the local language you’ll be stuck using hand signals and gestures. Humans are visual creatures which is why you can still bargain if you don’t know the local language. You should always check your international faux pas before venturing to a new locale, but know that through evolution, some facial expressions and body language are common to our species. A smile may vary from one culture to the next, but the message is generally understood. Knowing English is a very useful asset for travelers and it’s the Swiss army knife of languages. It may do you no good in northern China but you’ve got a better chance that just knowing French or Greek. Our intergalactic friend would be missing much of what Earth has to offer by only knowing just one of our languages. The same is true for the millions of people who don’t know anything other than their mother tongue. Traveling, and actively traveling forces us to strip down to the essential tools, gear, and technology we need to get around and English is the best lingual tool for the job. As a native speaker of English, I wish you well. Don’t forget that dynamic and growing international language Esperanto! Take a look at http://www.esperanto.net and tell me what you think. Thanks Bill, can I ask why you are such a proponent of it? Are you one of the creators or did it catch you some other way. Would like to hear more! But I have to disagree with your classification of English as a universal language. It’s merely the global lingua franca; outside nations where it is the official language, it is spoken primarily by the elites. In a global interconnected society, there is no reason for anyone not to speak a second language. Ido is the thing now! The world has moved in an interesting way. Native English speakers are in one sense at a self-inflicted disadvantage as the non-native English speakers of the world are now encouraged to speak English at school and are typically bi- (or tri- or more) lingual. Sadly, many of the world’s English speakers (UK, USA, Canada, NZ and Australia) tend to not learn a second language. At least the Asian (India and Singapore) and African native English speakers also tend to speak another language as well. I think having English as a first language discourages those people from learning a second or more languages because English is so universal. Language education in English speaking countries isn’t taken as seriously – perhaps because there isn’t the economic incentive to do so. But as you mention the world is changing and one day Chinese or Hindi may become important languages to learn to get ahead for English speakers. Its amazing that even the most spoken language (mandarin) isn’t the most powerful or the “universal” language. You’re right about the traveling bit.. almost every country has adapted to have people who know English. Also, most schools in other countries require the students take English classes! I think at the turn of the century English probably had more global speakers – but more importantly it covered/covers a wider area of the world. Economic power will determine if Chinese will ever be the ‘universal’ language. It’s also hard to break out of since you’re right, most people who don’t speak English as a first language are taught or learn it as their second. English is the language most likely to get you ahead in the world. However when I boarded a plane to Morocco, they did the annoncements in Arabic, then in French…then nothing…I knew I was in trouble. I think French is a good back up to have for English, it’s also so widely used. I know what you mean though, I hate being somewhere and not knowing *any* of the language. Sad to say, English is being pushed aside in the U.S. and Spanish is being shoved down our throats in order to communicate with immigrants and illegal aliens. Our country had tried to make English the national language back in the 40’s; however, they never pushed to pass the law. Now, if you don’t speak Spanish in many industries, you are bypassed for jobs. I am an avid proponent for introducing a second and third language to our children. It will be most beneficial to them in the future. I wish I could catch on, but was never good at Spanish in high school, or Italian (growing up in my household). It is quite frustrating as a mature adult to be told time and time again, you won’t get hired because you don’t speak Spanish in my own homeland. I can’t speak for the specific situation you’re implying, but I think the US is lacking in it’s educational system in terms of teaching second and third languages. As an international language teacher, I can safely say that the Chinese language will never become popular due to politics and also the difficulty of learning Chinese. As for Spanish being a candidate to take over for English as a global language, forget it. There are, for example, 4 billion Asians. Roughly 10% of all Asians can speak English. Only about .01% can speak Spanish. Spanish is also useless in Africa and even in Europe. I don’t think so mostly because the time has passed, it will be hard for another language to gain the foothold English has. Though as for difficulty, another language is only as hard to learn as it is different from your mother tongue, no? The Chinese language is very difficult to learn. Also, due to history and politics, the Chinese language is not popular even with nations that border China, e.g., Vietnam, India and Russia. As for the Spanish language, it can never be global because extremely few people in Africa or Asia can speak Spanish. Even in Europe, Spanish is not a popular language to learn.